VICTORIA, BC - Victoria Highlanders FC (5-9-0) drop their final game of the 2018 PDL season vs Lane United FC (5-4-5), July 14, at UVic’s Centennial Stadium by a score of 4-0. Captain Callum Montgomery was named Supporters Player of the Year following the game. Despite an even first half at the hour mark the visiting Lane United FC stepped into gear scoring three in ten minutes. 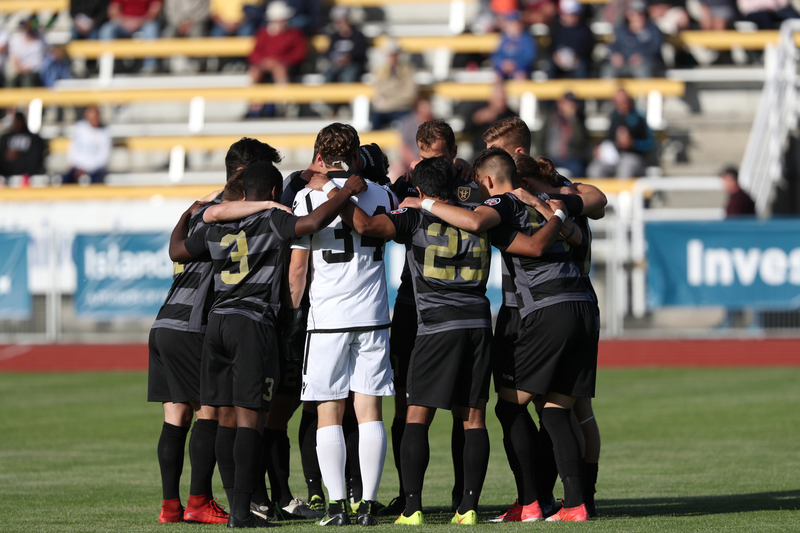 Highlanders entered their final match of the 2018 PDL season on the front foot opening the matchup with a great chance from forward Chris Rushworth. Only minutes later Lane United found some space but sent the ball just wide of Victoria’s net. The game continued to open up for most of the opening half. Lane took the lead at 24-minutes from Gerard Hernando. A great run from Lane’s Nick Moon found its way to Hernando for a tap in. Highlanders best chance of the half came at 35-minutes with a pass into Jonah Smith who fired a shot on net but was stopped by Lane’s ‘keeper RJ Noll. Lane United pushed on with the best chances of the half. Highlanders entered halftime down a goal. Victoria opened up the second half on the front foot, with a shot from youngster Josh Walter that was saved by Noll. Only minutes later at 51-minutes Rushworth found a chance but was stopped in his tracks by Lane’s backline. Despite a fresh set of legs the Highlanders were unable to stop Lane’s front line stepping into gear at the hour mark. Lane’s Nick Moon and Sergio Diaz converted to make it 4-0 at 78-minutes. A scuffle in a play between Victoria’s Marcus Campanile and visiting Matthias Binder ended in multiple bookings. Both Campanile and Binder were sent off at 82-minutes. Victoria continued to battle in their attempt to find a goal with some great opportunities from Blair Sturrock. Despite a late push the home side was unable to get past Lane’s backline. Thank you to all of our fans and sponsors for your support this season! Looking forward to 2019. For more information, please visit www.highlandersfc.ca.